We’ve said it before and we’ll say it again, the restaurant industry is in a serious hiring crisis. One of the most challenging aspects of owning or managing a restaurant is retaining staff and thus maintaining low employee turnover rates. With constant shifts in staff comes the constant need for hiring, training, and many other time consuming efforts. So what if there was a way to lower employee turnover rates with the added benefit of the potentially increasing sales? Well, there just might be that - restaurant staff gamification. In other words, it involves applying gaming techniques and mechanics to otherwise non-gaming situations in order to motivate behaviors that inspire individuals to reach particular goals. Now, you might be wondering why this could matter, especially within the restaurant industry. You might even already be practicing customer gamification with campaigns like loyalty programs to inspire repeat business within your customer base. But let’s take a step back from that, and consider the different possibilities of where gaming techniques could be applied, like within your staff base. Internal gamification comes into play when these gaming techniques are used to motivate your employees. Traditionally, its ability to improve employee performance has come to fruition within the walls of corporate offices such as Cisco and Deloitte. Cisco, for example, created a social media course that included various levels and badge certifications for employees to learn how to build their brands. With different course completions, employees could become specialists, strategists, and masters. The program has resulted in over 650 certifications and 13,000 courses taken. It’s true, the corporate setting was the first environment to adopt gamification to provide motivation to otherwise monotonous tasks. In the more recent years, the food service industry has started to adopt similar practices into their management tactics to help inspire staff. 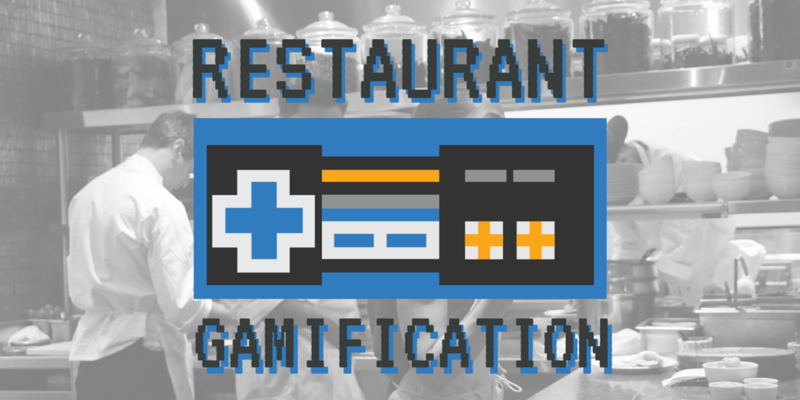 Colorado restaurant Silver Grill Café gamified an employee incentive program where they focused on increasing the sales of specific menu items. Between the extra motivation to sell as well as the item upsells, the eatery realized a 66.2% return on their investment into the program. In order to have a successful gamification program, players (or in this case, employees and staff) have to feel involved and attached to the program at hand. Once they feel this engagement, they’ll be more apt to participate regularly and actually care about completing their tasks. Creating this emotional involvement isn’t an easy feat. However, if you’re looking for some simple ways to achieve this attachment, visibility is a vitally important one. Visibility - as in public acknowledgement or visual leader displays - helps to establish credibility of the program and also help participating individuals see their progress on the way towards meeting their goals, all while inspiring a little friendly competition amongst staff. Having specific goals is important so that individuals know what they are working towards. Steve Sims, the founder and chief design officer of gamification company Badgeville, noted that gamification should always start with specific business goals and how they will be measured. From there, it is important to clearly communicate the goals to participants and keep them regularly updated with progress. From a management perspective, it’s also helpful to define concise goals so that you know when certain competitions are over. If you’re promoting a specific item, for instance, you could have a maximum number of days, dollars, or items sold where the competition was running. So you’re ready to test out a gamification program amongst your staff. Here are a few different tactics that can be used in the restaurant setting to get things off the ground and running. Set up some friendly competition amongst servers or waitstaff to see who can rack up the most points - think add-ons or upsells of a particular item, sign ups for a loyalty program, or others! Having a visual leaderboard is also helpful to publicly display the results so that employee are accountable for their performance. Upon completion of certain tasks, employees can earn badges or certifications for public display. Have a new bartender in training? 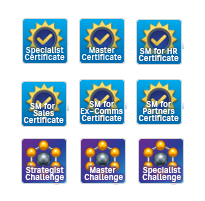 Rewarding them with different levels of certificates or badges helps to inspire quicker training. Having levels along the way to masterdom is helpful to inspire people to work their way up, rather than feel overwhelmed by lofty overarching goals. Another way to use certifications to motivate workers is through the onboarding process. According to Inc.com, a structured onboarding experience can make employees 58% more likely to stay with your business. Through structured training, staff will feel like they are more prepared to hit the restaurant floor running. Badges are similar to certificates in which they are a form of publicly displayed tokens, but can be less skill-intensive than a certification. For instance, your employees could receive badges when they reach the 90th day of employment mark, the 6-month mark, the year mark, and so on. Like most restaurants, Applebee’s was struggling to retain employees with a turnover rate of 120%. The franchise introduced a gamification strategy called BeeBlock, which was designed to improve punctuality, sales, and service. In the initial iteration of the program, overall check averages went up and employee turnover dropped by more than 20% - and they did so without the use of any tangible prizes or rewards. Applebee's has since introduced a point system where “players” can save up for redeemable rewards like Applebee's branded swag or even PlayStations and XBoxes. So when it boils down to it, employee gamification isn’t really just about playing games. It’s about inspiring your staff to work faster and more efficiently while motivating them to feel part of the team, thus lowering that pesky turnover rate.